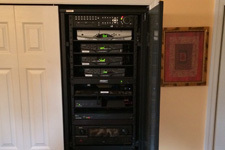 Do you have a general question about home theater that you've been too embarrassed to ask? No problem; we've all been there. 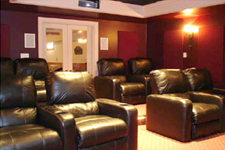 The following is a list of FAQ's about home theater basics. Home theater can be a lot of different things. 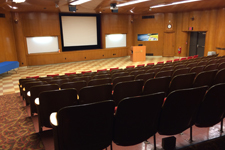 But we generally regard it to be an audio/video system with a video projector, surround sound componentry, and acoustically treated. What flat panel display is right for me? There are several variables to consider when purchasing Plasma, LCD, LED, or 4K television. 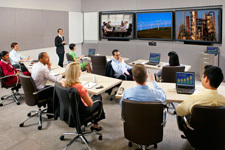 The size of the room, the ambient light, the video sources and you budget are the key factors in choosing a screen. 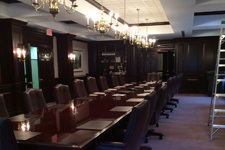 An LCD style screen is best suited for high light environments as the screen surface is the least reflective. Picture quality is slightly compromised to achieve the non-reflective surface. A surround-sound system is an audio setup designed to envelop you in sounds from movies, TV shows, and even music. 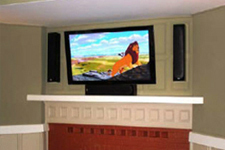 A typical surround-sound system has five main speakers, or channels, plus a subwoofer. The five main speakers consist of the three front ones placed near the display and facing the audience—these are called the front left, center and right channels—plus two surround speakers positioned along the sides or in the back (to the sides is recommended). A subwoofer plays only low bass for thundering booms, explosions and deep tones in music. Does it go in the center of the room? 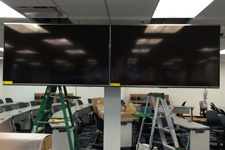 The center channel is located closest to the TV or video screen. You’ll often find it beneath the screen and positioned horizontally. It carries all the dialogue in a movie or TV show, thus it needs to be near the screen so you hear the words as if they are coming from the actors’ mouths. This makes the center channel the most important speaker in a surround-sound system. What do 5.1 and 7.2 mean? These numbers denote how many speakers your system uses. For example, 5.1 means full-range speakers plus a subwoofer (the .1), as described earlier. A 7.2 system has four surround-sound speakers adding to the surround sound effects of car racing or helicopters flying plus (2) subwoofers (the.2). What does HDMI stand for and when do I need to use it? The High-Definition Multimedia Interface (HDMI) is an audio/video connector interface for transmitting uncompressed digital streams for 1080p HD video and up to 8 channels of digital audio. This cable is required whenever connecting a HD device or display to view true 1080p video. This is the resolution that provides 1,080 lines of horizontal resolution as well as progressive scan, the ability to scan each line in order from top to bottom. 4K is the newest pinnacle for HD video that is 4 times the resolution of 1080p video. How can I have a home theater if I don’t have a room in my house big enough to house a theater—even a small one? You don’t need that much space. A home theater can be a separate room set up like a theater, or it can be a much more modest surround-sound system in your family room, living room, den, recreation room, bedroom, patio—wherever you want. Okay, but I don't have the room for big speakers. I definitely don’t have room for a big video projector and screen. With today’s technology anything is possible. You can get a motorized projector AND screen lift so that they only come out when you want them to. Otherwise, they will stay happily inside the walls of your home. You’ll need an audio/video receiver of some sort and almost certainly a Blu Ray player. Depending on how you receive your TV signals, you’ll need a cable or satellite receiver or an antenna. And if you like, you can add a digital video recorder (DVR) such as a TiVo, maybe a media server to store your music and possibly your movies, a good remote control that can operate everything without having to switch clickers, and some comfy seats. Do I need HDTV? No, but we strongly recommend it. All TV will become digital in 2009, and HDTV is the best form of digital TV. Lower-resolution digital TVs are called Enhanced (EDTV) and Standard (SDTV), but if you want even a modest home theater, there’s no reason not to spend a bit more to have high-definition TV. You can’t see and enjoy HDTV content without it. That’s up to you. But figure on spending at least a few thousand dollars on an HDTV of some kind, a surround-sound speaker system, an audio/video receiver and a Blu Ray player. 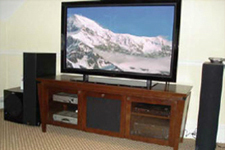 It’s difficult to obtain a good system with a new HDTV for less than $5,000. 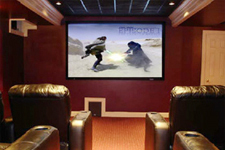 More advanced home theater systems can cost tens of thousands of dollars. All this just to watch a few movies and TV with some extra thump? You could look at it that way. We’re not trying to sell you a home theater system. But there are plenty of great educational and culturally significant shows now available in HDTV, and without an HDTV, you won’t get the full effect. You’ll also appreciate your favorite movies much more on a good audio/video system. And chances are, so will your spouse, friends and kids. I don't think my spouse will go for it. This is a big purchase, so it should be a mutual decision. Sit him or her down, and explain what you’d like to do. If there are doubts, bring your significant other to a home theater demonstration at a custom electronics dealer, and try to bring along a favorite Movie of his or hers to play.